The Diggers Den Metal Detectors, your full line detector and treasure hunting store. Welcome to the Diggers Den!! 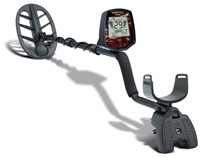 The hobbies best place to purchase metal detectors, accessories and have fun doing it. Thanks for giving us the opportunity to help your insatiable need to hunt for treasure. We care about our customers and want them to be successful in the hobby and we are always available to help our customers get the most from their equipment. Feel free to call or Email us with any questions you may have in order for us to make this the best buying experience you can possibly have. Call us to check on any promotional money saving deals we may not have online. We will NOT be beat on prices! We will price match or demolish any deal out there! Just send us a text, email or check us out on Facebook. Chose Paypal Credit at the checkout and enjoy 6 months to pay it off at your discretion with zero finance charges. Designed around brand new electronic advances, these new high performance and versatile coils will allow you to choose from a wide range of frequencies ranging from 3.7kHz to 27.7kHz. 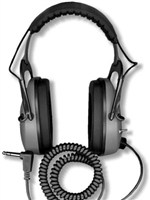 *Normal or Boost option – The transmitted power has 2 selectable levels when using *frequencies 3.7Khz to 4.4kHz. *The BOOST mode significantly increases the transmission power of the transmitting coil, allowing greater detection levels if the soil conditions allow. Check out XP's HF coils HERE. 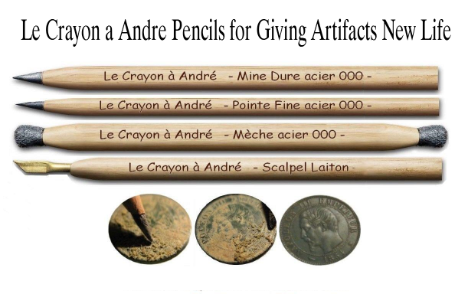 We now carry Andres pencils for reconditioning those crusty coins, buttons or other hard to clean relics. Gentle and very effective with maintaining the patina. Check the out here. given and are giving to make our country safer. Please give us a call for more details on how we can say thanks. *Minelab Detectors get a 15 percent discount off for active military and veterans with proof of a military ID. Give us a call or email for more information. Detects all types of metal and provides the greatest possible detection depth and sensitivity..
Cut the cord! Integrated circuitry transmits audio to your wireless headphones. Get the most from your machine and batteries with RNB's innovative rechargeable battery systems. The T2 LTD from Teknetics is one of the deepest seeking VLF machines on the market today. Super light, excellent target separation, fast processing, handles mineralized soils great and one of the deepest detectors on the market are some of the qualities of this tried and proven machines. Check out DD on Facebook! Join the family and stay in touch with awesome contests, updates, detecting tips and just good detector talk. Metal detecting is a great hobby to get the family out, enjoy time together and create memories. The Diggers Den has the right tools for everyone in the family. Brian's pure love of relic hunting and exploring lead to the creation of The Diggers Den in 2015. 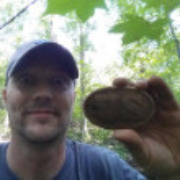 Brian hunts a lot of Civil War in the relic rich state of Va. His main focus with The Diggers Den is to give customers the best service possible and to give them the best tools to make them more successful so they will continue to enjoy the hobby. He chose his team around these ideals so you will get amazing help from the whole DD team. Gypsy is the newest addition to the DD Team. Gypsy has been detecting for around 20 years. She also was a dealer for years. She co-hosts All metal Mode at Spreaker on Monday nights. She wanted to share the hobby and decided to create her YouTube page Zero Discrimination which has been growing quickly. 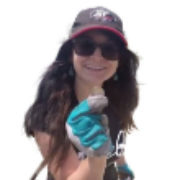 Garrett noticed this and her true love for the hobby and added her to the Garrett Field team. We are proud to have her representing The Diggers Den as she travels all over the world. Copyright © 2013 Diggers Den Detectors. All Rights Reserved. Built with Volusion.